There’s no other way to put it: winter driving in Canada can be a scary experience. Most of us who are new to Canada will have driven on icy roads before, and will know what it’s like trying to cope when the temperature hovers around -1°C or -2°C. But there’s a huge difference between that, and driving on a secluded highway at night, when it’s -25°C and there’s no cellular service. One wrong manoeuvre can be deadly. So it’s with good reason that provinces have strict rules around winter driving in Canada. Here are some of the things all newcomers should keep in mind. Winter tire advisories in BC, via Flickr. 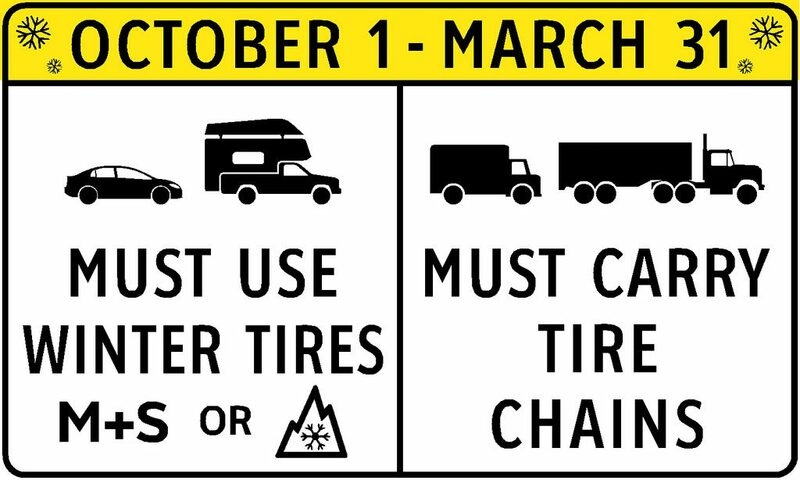 Winter tires are compulsory in parts of British Columbia from October 1 to March 31, and in Quebec from December 15 to March 15, each year. While not compulsory in other provinces, they are still permitted, for example in Ontario from October 1 to April 30. In BC, you’ll see signs like the one above on many highways, usually when approaching mountain passes at a high altitude and areas where conditions tend to change rapidly. But even when they’re not compulsory, all provinces recommend switching to winter tires when the temperature falls below 7°C. Regular tires become hard and inflexible in colder weather, and so are less able to grip the ground. 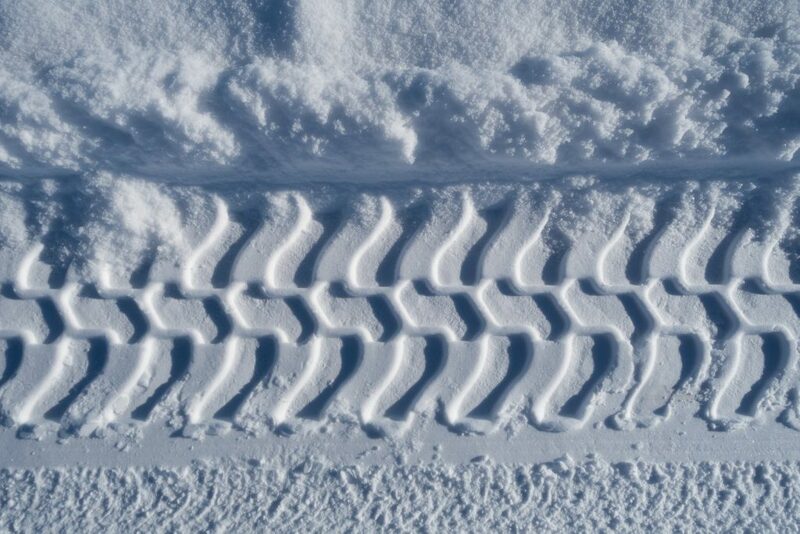 Winter tires have a bigger tread, and offer more control to drivers. It’s important to remove them once the weather improves in the spring, however. This is because their softer rubber gets damaged more easily when the roads become warm. And as always, you should make sure your tire pressure (including your spare tire) is at the appropriate level. Newcomers from Europe are often surprised to learn that Canadians need to plug in their cars in winter. No, it’s not because they’re electric cars that need a charge. It’s because the weather is so cold, that they actually need to hook up a heater just to keep crucial parts of their engine working! Vancouverites may escape this, seeing as winter temperatures generally stay above freezing. But elsewhere in BC and in other provinces, where temperatures regularly fall below -15°C, this will become part of every car owner’s daily routine. Cold weather means the oil in your car becomes thicker. This means it has more difficulty flowing through your engine, and increases friction among the various moving parts. 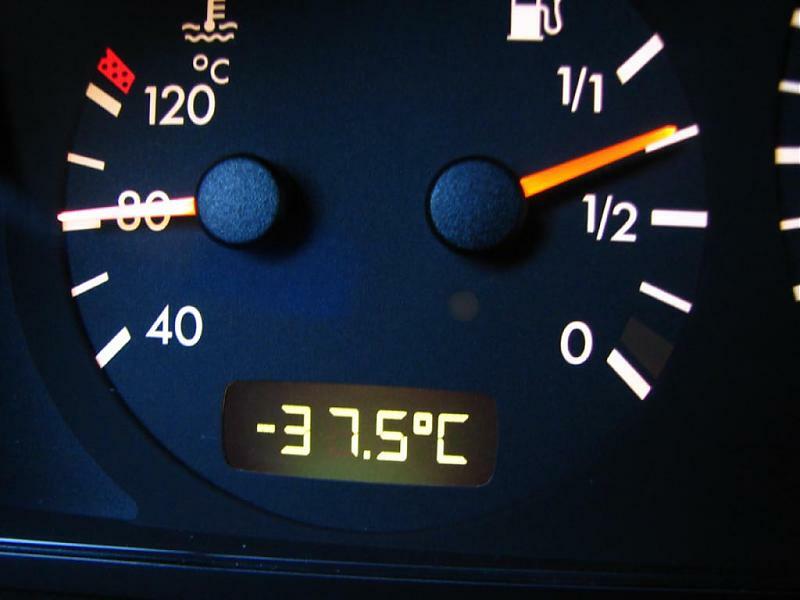 ‘Block heaters’, as they’re known, ensure that your car’s engine and oil stay warm. They should be turned on between two and four hours before you drive, depending on how severe the cold is. This can be an issue for those travelling to work – if you need to set off at 7am, do you really want to be waking up at 4:30am just to turn on your block heater? Thankfully, automated timers are available, and should only set you back around $10 or $20. There are two types of things you’re going to need to keep in your car: stuff you’ll need daily, and stuff you hope you’ll never need. You’ll need ice scrapers and snow brushes daily to clear your windshield – trying to clear several centimetres of snow off with your hands is not a nice way to start your morning! You will also need to prepare for emergencies. Remember: road conditions can change rapidly, and you may get caught out. If that happens, it’s important to be prepared in case you do end up needing to spend a night in a car while it’s -40°C outside, and you have no cell phone coverage. Every car should have the following supplies. Warm clothes and blankets. Be sure to include gloves, a warm hat, and boots. Non-perishable food, like cereal, chocolate, or granola, and water. Printed road maps – don’t depend on your phone or GPS for longer journeys. Small candles – in case the batteries stop working in cold temperatures. Bring a tin they can be stored and carried in. Heat packs. These are small packs that, when snapped like neon glow sticks, generate heat and can be placed inside your gloves or boots to stay warm. Sunglasses – essential when the sun illuminates a layer of fresh snow. De-icer or WD-40 to defrost your locks. By day, water can get into your keyhole, and freeze when temperatures dip at night. Shovel (buy one with a small handle so it can fit in your car). Bag of grit, or kitty litter. 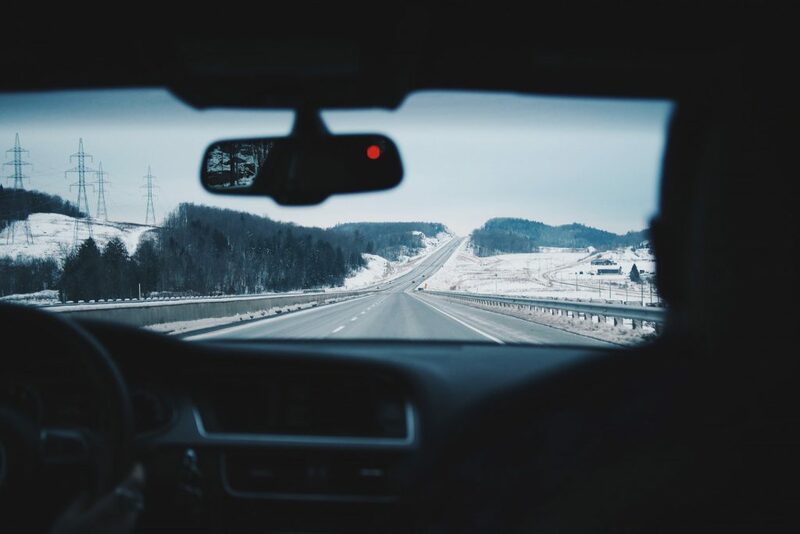 You need to pay attention to the rules relating to winter driving in Canada in your area, as not following them may affect insurance claims if you’re in a collision. 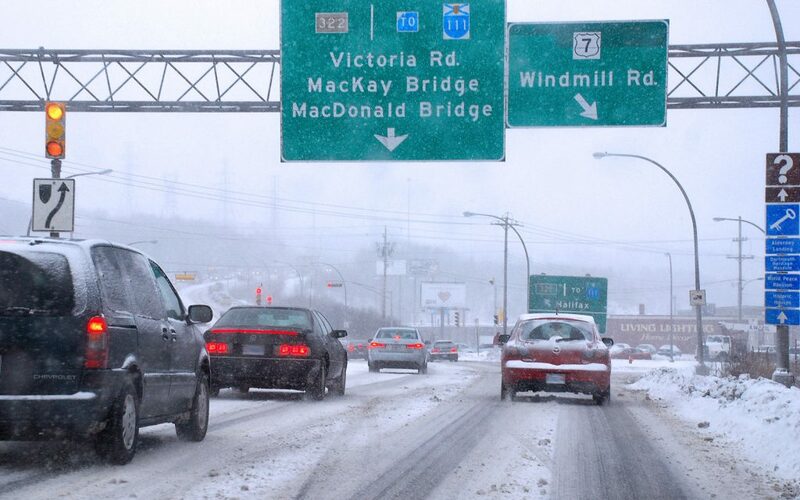 “Driving without winter tires will not void your insurance if you have a claim. It also won’t mean you’re automatically at fault in a crash. Alberta’s Transportation Ministry has a great run-down on its website of all the advice drivers should follow in the winter. If you’re a newcomer who’s not used to winter driving in Canada, it’s essential to give their guide a thorough read. Check road conditions ahead of time. If the weather isn’t suitable for driving in, then don’t make unnecessary journeys and don’t take risks on treacherous roads. Allow plenty of extra time – don’t just rely on what Google Maps tells you! Avoid using cruise control during wintry weather. Keep a full gas tank. Research and prepare what you should do in a skid, according to your type of vehicle. Drive according to the conditions. Don’t try to reach the speed limit if it’s not a safe speed to drive at. Slow down, and drive safely. Get more help for your Canadian adventure. Immigration rules can change quickly. Get essential updates straight to your inbox – it’s free! READ: How do I get a driver’s license in Canada?